The days of going to a library or archive and browsing for records has long past; if it ever existed at all. Most genealogically significant collections involves a fairly high degree of preparation and an additional amount of astute strategy to maximize the time and effort spent. Unless you happen to work in a major record repository, you will probably have to plan and execute a special trip to accomplish your research goals. Repository -- a central location in which data is stored and managed. This is a generic term for any place records are kept either public or private. Archive -- a collection of historical documents or records providing information about a place, institution, or group of people. Library -- a collection of films, recorded music, genetic material, etc., organized systematically and kept for research or borrowing. Now, once you have an idea of the place where records are kept, you need to understand that the way the collections within these locations are organized is somewhat arbitrary. There are, of course, some commonly used systems, such as the Dewey Decimal System, or the Library of Congress Classification System, but even these more common classification systems need to be understood before you can do effective and reasonably exhaustive research. 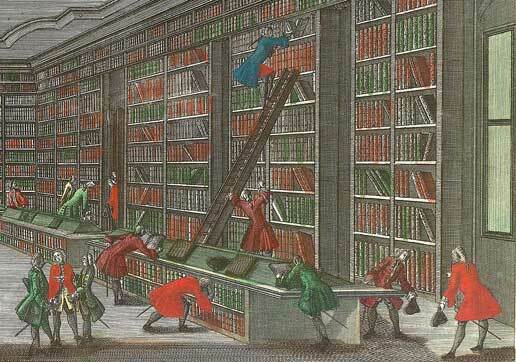 Many of the libraries of the world have adopted a third alternative to the two older systems. This newer system is administered by the OCLC Online Computer Library Center, Inc. Here are some short summaries of these three major classification systems and some resources for further study. The Dewey Decimal System (DDC) of classification was developed by Melvil Dewey in 1873 and first published in 1876. Libraries all around the world use this system for cataloging their books, manuscripts, and other materials. The system is continually updated and maintained by the Decimal Classification Division of the Library of Congress. A proprietary version of the system is also maintained by the OCLC Online Computer Library Center, Inc. which also operates the online WorldCat.org catalog. Essentially, the DDC is organized into ten main classes. These classes are further divided into a second level called the Hundred Divisions. The third level of classification is called the Thousand Sections. Further classification is obtained by adding Arabic numerals and decimals of those numbers. Within a division the materials are further arranged on the shelves alphabetically by the last name of the author or other selected identifier such as the title or description. Here are some further resource materials about the system. admin. “DDC 22 Summaries.” Accessed March 9, 2016. https://www.oclc.org/dewey/features/summaries.en.html. Crow, Sherry R, and Jodi Barklage. Dewey Dynamite. O’Fallon, Mo. : Book Lures, 1987. “Dewey Decimal Classification.” Wikipedia, the Free Encyclopedia, February 28, 2016. https://en.wikipedia.org/w/index.php?title=Dewey_Decimal_Classification&oldid=707358872. “How To Use the Dewey Decimal System | Monroe County Public Library, Indiana - Mcpl.info.” Accessed March 9, 2016. http://mcpl.info/childrens/how-use-dewey-decimal-system. Kushon, Susan G, Bernice Wells, and Pittsburgh Pa. Helen Jean Moore Library Point Park College. Realistic Library Research Methods: Bibliographic Sources Annotated. Point Park College, 1977. “List of Dewey Decimal Classes.” Wikipedia, the Free Encyclopedia, March 9, 2016. https://en.wikipedia.org/w/index.php?title=List_of_Dewey_Decimal_classes&oldid=709177704. The Library of Congress Classification (LCC) is a classification system that was first developed in the late nineteenth and early twentieth centuries to organize and arrange the book collections of the Library of Congress. Over the course of the twentieth century, the system was adopted for use by other libraries as well, especially large academic libraries in the United States. It is currently one of the most widely used library classification systems in the world. The Library's Policy and Standards Division maintains and develops the system, posting lists of updates. The system divides all knowledge into twenty-one basic classes, each identified by a single letter of the alphabet. Most of these alphabetical classes are further divided into more specific subclasses, identified by two-letter, or occasionally three-letter, combinations. For example, class N, Art, has subclasses NA, Architecture; NB, Sculpture, ND, Painting; as well as several other subclasses. Each subclass includes a loosely hierarchical arrangement of the topics pertinent to the subclass, going from the general to the more specific. Individual topics are often broken down by specific places, time periods, or bibliographic forms (such as periodicals, biographies, etc.). Each topic (often referred to as a caption) is assigned a single number or a span of numbers. Whole numbers used in LCC may range from one to four digits in length, and may be further extended by the use of decimal numbers. Some subtopics appear in alphabetical, rather than hierarchical, lists and are represented by decimal numbers that combine a letter of the alphabet with a numeral , e.g. .B72 or .K535. Relationships among topics in LCC are shown not by the numbers that are assigned to them, but by indenting subtopics under the larger topics that they are a part of, much like an outline. In this respect, it is different from more strictly hierarchical classification systems, such as the Dewey Decimal Classification, where hierarchical relationships among topics are shown by numbers that can be continuously subdivided. If you look at the title page of a book published in the United States in the last 50 years or so, you will likely see a reference to the LC number sometimes indicated as the Library of Congress Catalog Card Number. These numbers are an "accession" number. That means that the numbers are assigned as the books and materials are submitted to the Library of Congress. 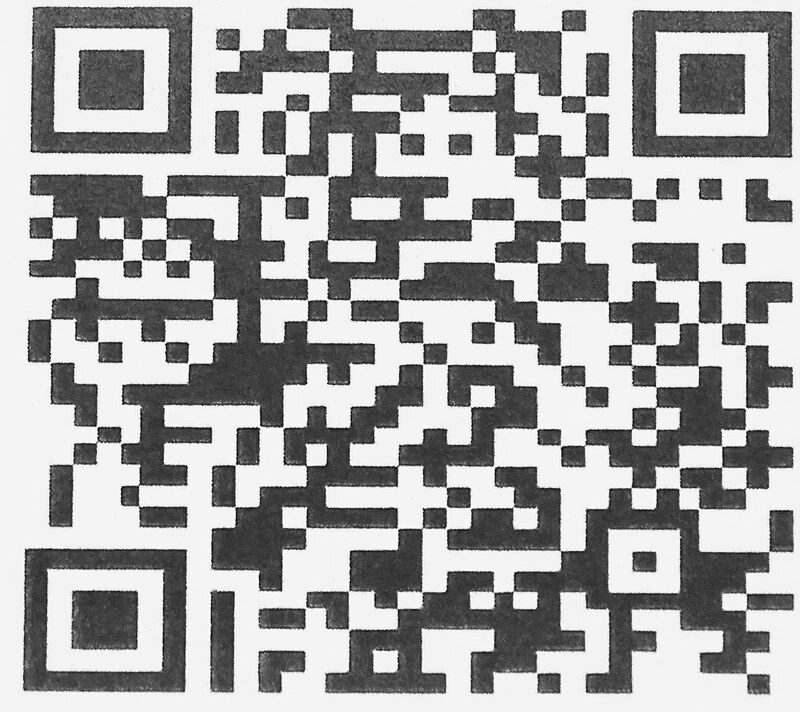 This number can be used to locate the book in the Library of Congress. But this only works if you know the number. The classification systems is the method by which the books are organized on the shelves. Here are some additional resources about the Library of Congress Classification System. Chan, Lois Mai, and Lois Mai Chan. A Guide to the Library of Congress Classification. Englewood, Colo.: Libraries Unlimited, 1999. Institute on the Use of the Library of Congress Classification, Richard H Schimmelpfeng, C. Donald Cook, American Library Association, and Cataloging and Classification Section, eds. The Use of the Library of Congress Classification: Proceedings of the Institute on the Use of the Library of Congress Classification, Sponsored by the American Library Association, Resources and Technical Services Division, Cataloging and Classification Section : New York City, July 7-9, 1966. Chicago: American Library Association, 1968. Library Filmstrip Center. Library of Congress Classification. Library Filmstrip Center, 1971. Library of Congress, and Cataloging Distribution Service. Library of Congress Classification System. Washington, DC: Cataloging Distribution Service, Library of Congress, 2003. Library of Congress, Library of Congress, and Cataloging Policy and Support Office. Library of Congress Classification. R. Medicine. Washington, D.C.: Library of Congress, Cataloging Distribution Service, 2000. Library of Congress, and Subject Cataloging Division. The Library of Congress Classification System. [Washington], 1916. Matthis, Raimund E, and Desmond Taylor. Adopting the Library of Congress Classification System; a Manual of Methods and Techniques for Application or Conversion,. New York: R.R. Bowker, 1971. OCLC Online Computer Library Center, Inc.
Take time to think through your research objectives. Choosing a goal such as "finding a birthdate for my 3rd great-grandfather" is not really a research objective. When you are beginning your research you need to focus on the types of records that may be available rather than specific events or identities you wish to find. When approaching a repository, you will need to ask this type of question: "What kind of document might contain birth information about my 3rd great-grandfather and does this repository have that kind of document?" Your research objectives should be very broad and encompass any possible types of information you might find at the remote repository's location. Do extensive and exhaustive online searching before physically going to a repository. I hear a very common tale, particularly about visiting remote record repositories in Europe, where the researcher is told at the door of the repository that the records they are looking for are not available but they are in the collections of the Family History Library in Salt Lake City, Utah. You do not want to spend money and time going to a remote location only to find that the records are in the Salt Lake Library and what is more, they have been digitized and are online. This may seem like an urban legend, but I have heard this directly from a number of people who went to Europe and were told this by the repository's operators. Visit your nearby libraries, archives and other repositories and look for your information. Be sure to use all their available online resources. The records you are searching for may not only be in Salt Lake City, they may also be in your local library. 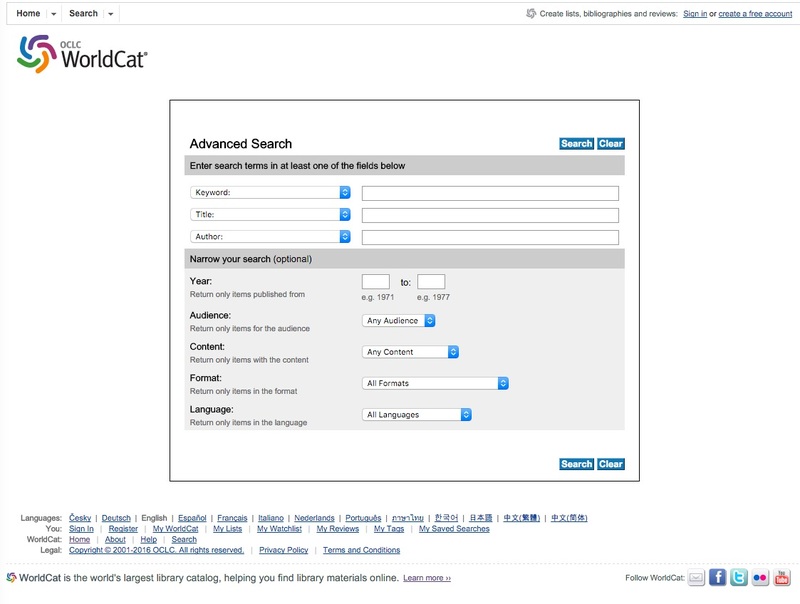 Don't forget to search in college, university and other educational institutions' libraries. At last! After 60 years of researching I have come across someone who does not stick to the common advice of “choose and objective and focus on that objective when visiting an archive”. About ten or fifteen years ago I visited the National Archives at Kew (London, about 200 miles or an eighty pound return train journey to get there) with a young researcher and lecturer in family history. This person was astounded by my shotgun approach to research in distant archives because I did not focus my research. Photocopies and digital printouts were relatively cheap and my approach was to photocopy or printout anything that might possibly be of interest to my research. I did not even read what I had printed at the time but left that for later. It was not until I explained that I may only be able to visit that archive once or twice in a year and that it was far better to pay a few pence per item (25 pence or 30 pence per page) to copy it than to leave the archive without any record of the information. She decided to humour me and followed my lead; it was not until a week after we had returned to Yorkshire that I got an excited message from her. In amongst the mass of printouts she had made was details of a marriage of an ancestor she and others had been looking for many years. There were also other interesting finds amongst her printouts such as another relative who it was thought had stayed in Yorkshire but it turned out he too was running a business in London. The point I am making if the archive is some distance away from the researcher or difficult to access, it is better photocopy or print out information during the limited time one has available than to read through the pages of information. Yes one might spend some money printing out information but when you put that into the context of how much it costs to get to the archive it is money well spent. My approach exactly for over 30 years only now I use a digital camera instead of paying for photocopies, if that is allowed. Why don't genealogists ask more why questions? What is an ethical genealogist? Should Genealogists Publish Their Research? An interesting exchange with FamilySearch. When will genealogy reach the tipping point?